Goa is a state in India. 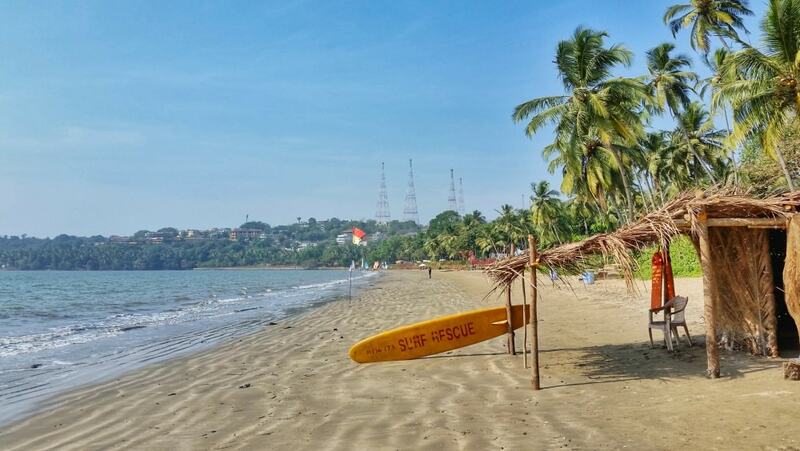 Much like Hawaii can be seen as a dream destination in the United States, Goa can be seen as a dream destination in India. While India gained its independence from the British in 1947, Goa continued to be under Portuguese rule. Goa didn’t become a part of India until 1961, when it gained its independence from Portugal. 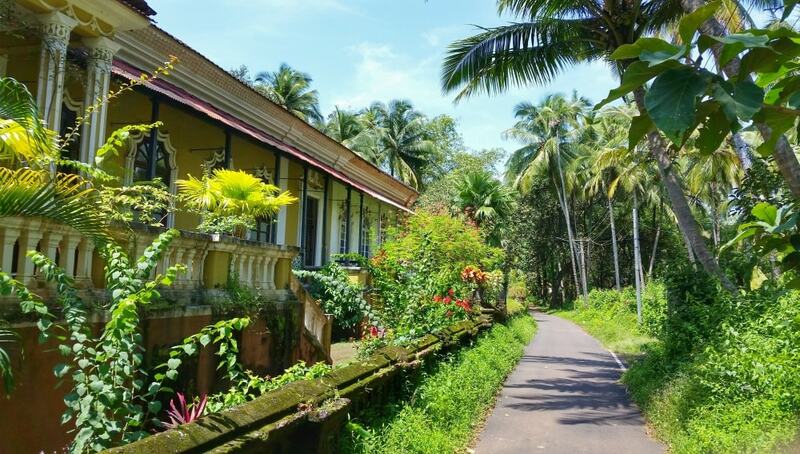 Today, when you visit Goa, you will see the lasting Portuguese influence all around. 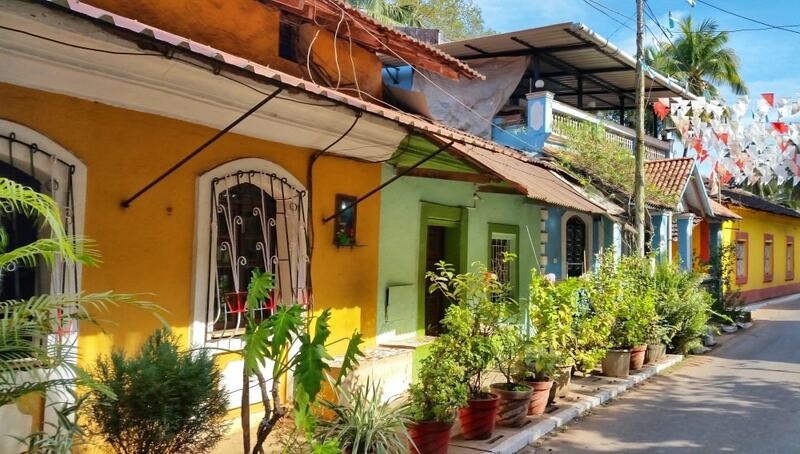 While there is an official Latin Quarter in Goa, you don’t need to go there in order to see this Portuguese influence. 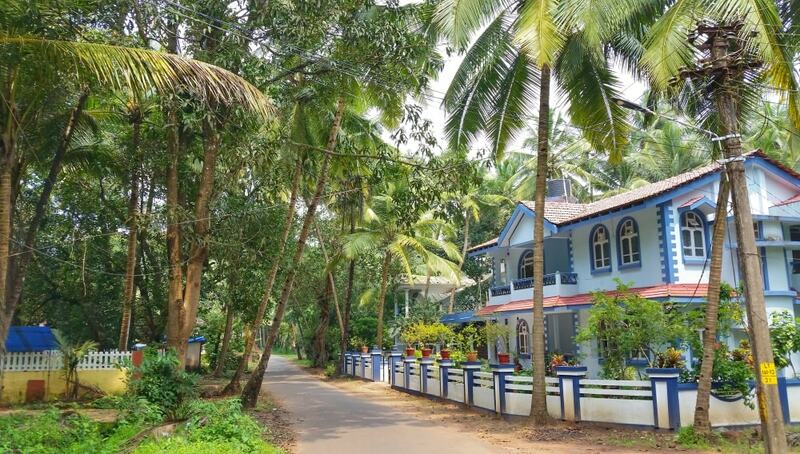 There are tons of family homes all around Goa that retain the Portuguese-style of architecture, and that even includes homes that have been built more recently. 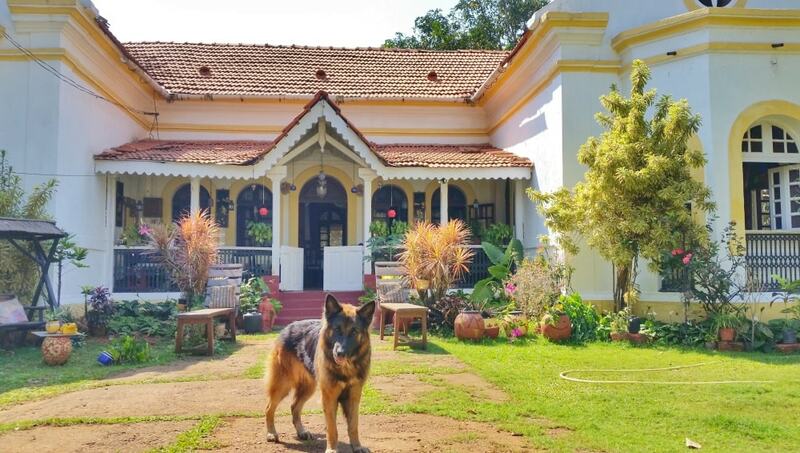 This makes Goa a unique part of India. So, what is PEDAL GOA? Well, I started this website because I thought that cycling in Goa would be sooo great! Well, I still do think it’s great. 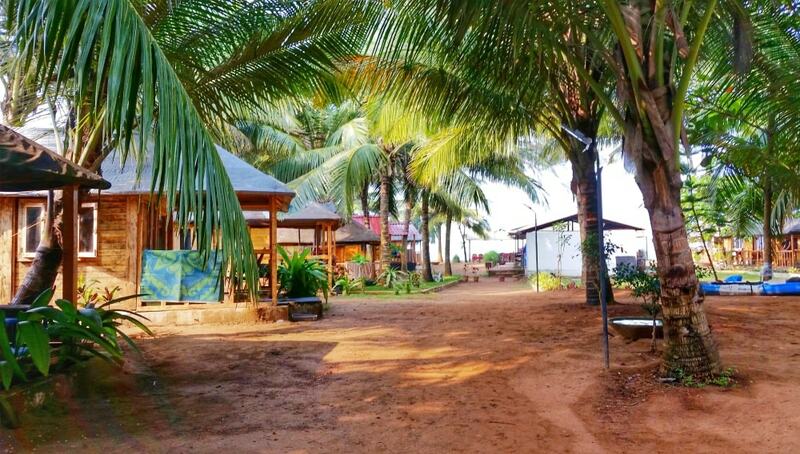 And the idea behind starting this website was to showcase Goa as a worthy cycling destination! But as it goes with starting a website for the first time, a lot of experimenting goes on. And so I got a little distracted. Government officials from Goa and Hawaii had talked about becoming sister states. I don’t know when or if this is still going to happen, but I like Hawaii, so I went with the idea! What does it mean to be sister states? Each relationship of sister cities can be different. It can exist to promote cultural exchange and it can exist to promote trade. Sister cities can work together to mutually benefit their economic, social, cultural, and educational goals. On the cultural exchange side for example, youth and grade school students can be involved. There are many sister cities in which high school students travel internationally to visit counterparts in their sister communities for meaningful cultural exchange. Any given city or state can have any number of relationships with communities in other countries. There are also sister city organizations that work to develop and promote international partnerships. 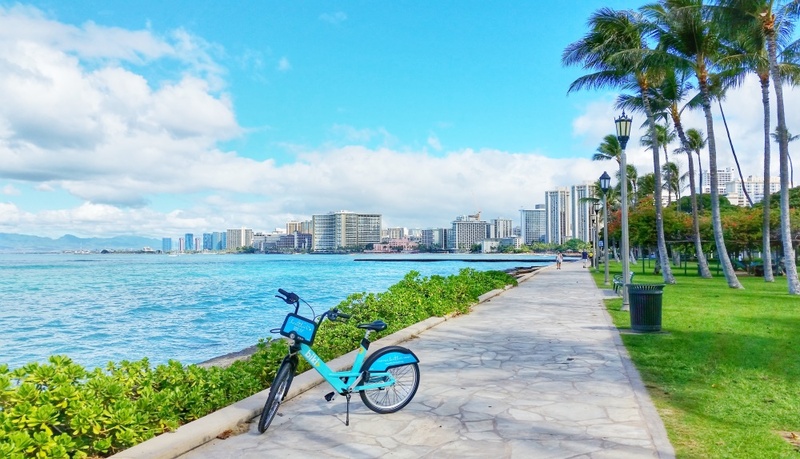 A good example of this is Chicago Sister Cities International which aims to promote common goals with their sister cities in over 20 countries! 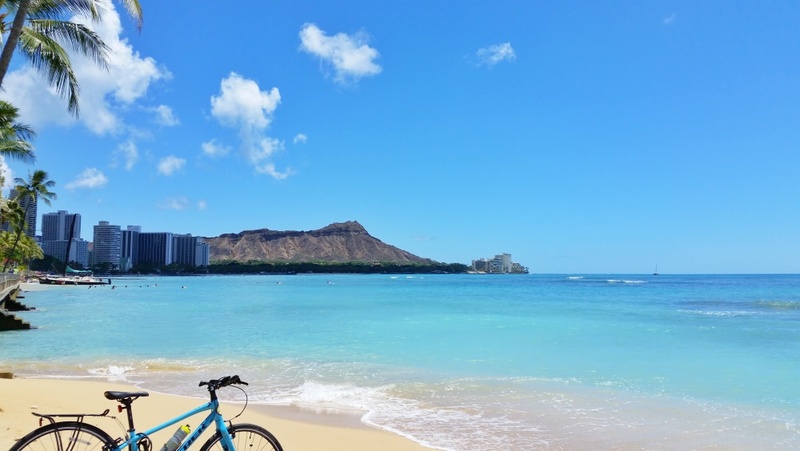 Both states are thought of first and foremost as beach destinations. And both Goa and Hawaii have plenty of beaches and coastline! 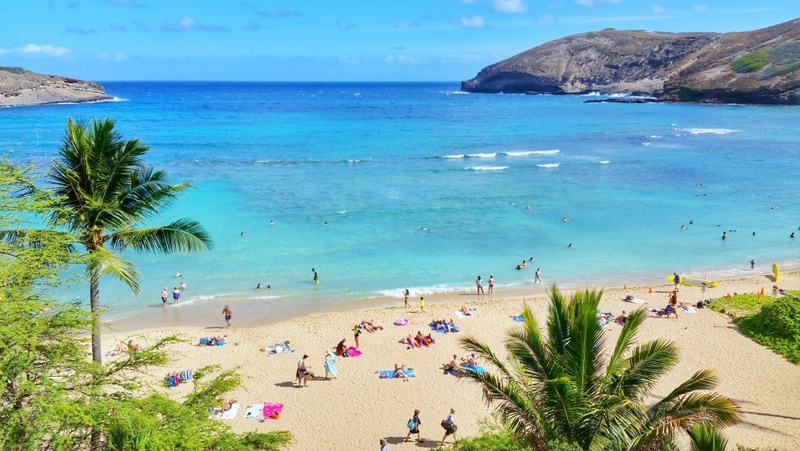 But they also both offer a lot of activities aside from beach lazing for those who are looking to have a more active vacation or for those looking to explore a different culture. 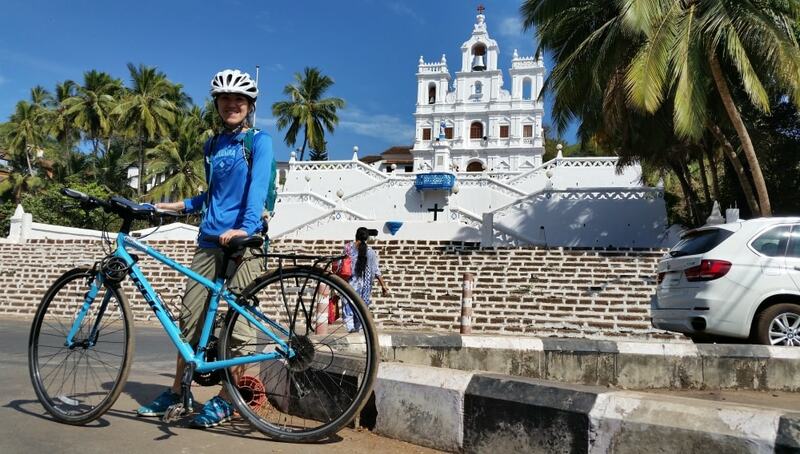 Isn’t it scary to cycle in Goa?! Well, surely there are scary moments. 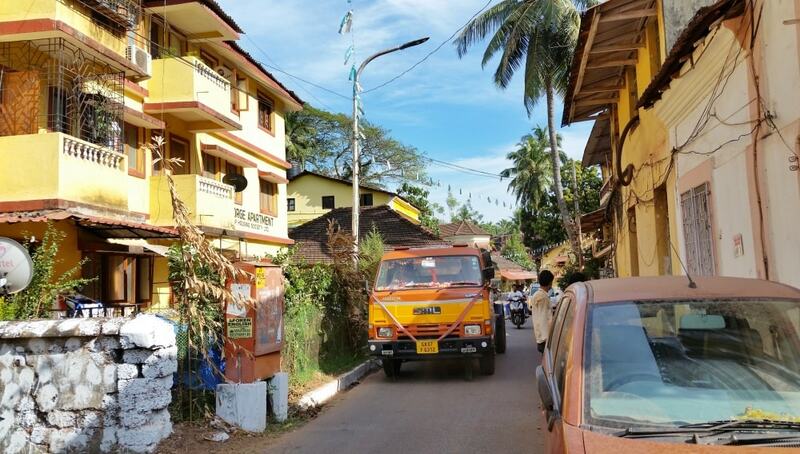 If it’s not a very wide street (like many streets in Goa) and there are two vehicles driving towards each other, one of which is a bus or a truck that’s coming up right alongside you. Or if an oncoming car decides to pass another car and it feels like the car is going to drive right into you. But overall, even if you’re riding in an area with a decent amount of traffic, I don’t think it’s so bad. One of the reasons I feel it’s not so bad is because drivers are used to being aware of what’s ahead of them on the roads. There are frequently people walking along (including school children) or people riding a bicycle. Or maybe it’s dogs or cows roaming the streets, or maybe it’s the speed bumps. There is always something to look out for so drivers need to be paying attention. 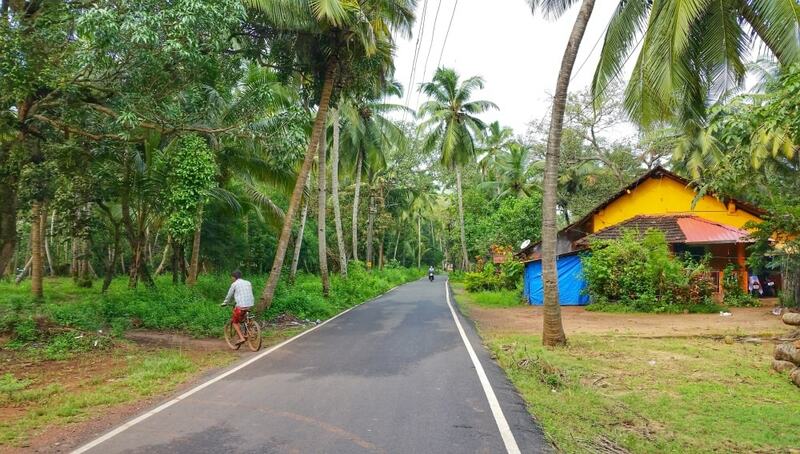 Since it’s common for drivers to be on the lookout, at least you know the drivers are kind of looking out for you when you’re cycling in Goa! 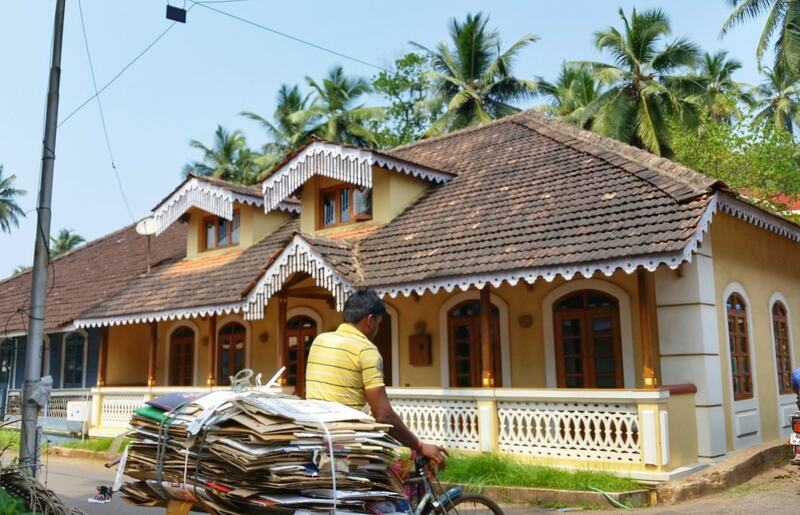 There are also lots of scooters out on the roads of Goa, so in riding a bicycle, you are just another smaller “vehicle” on the road. Basically, as a cyclist, you are a slightly slower version of a scooter! But another type of 2-wheeler nonetheless! And then there are also plenty of roads with far less traffic. I pretty much use Google Maps to plan my route wherever I go. A few times it’s failed me, like taking me to a dead end or on a narrow dirt path through bushes. 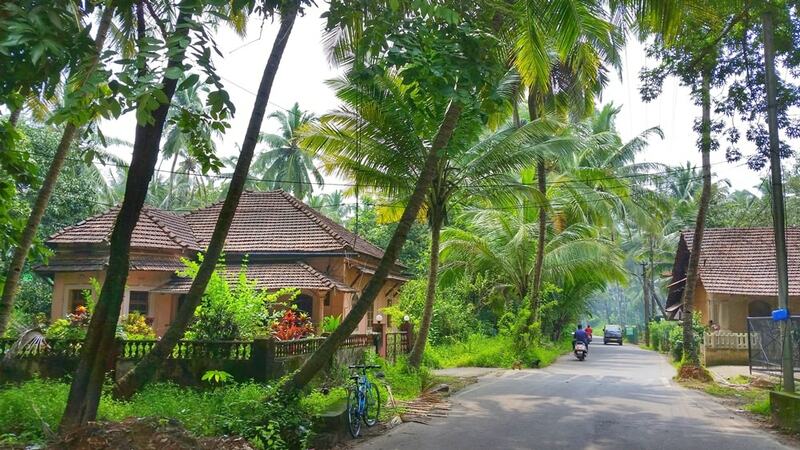 But cycling in Goa is also about the experience! When you’re planning your route, look for the skinnier white lines on Google Maps to make a part of your route. Those will be the quieter roads and will also be less hectic! 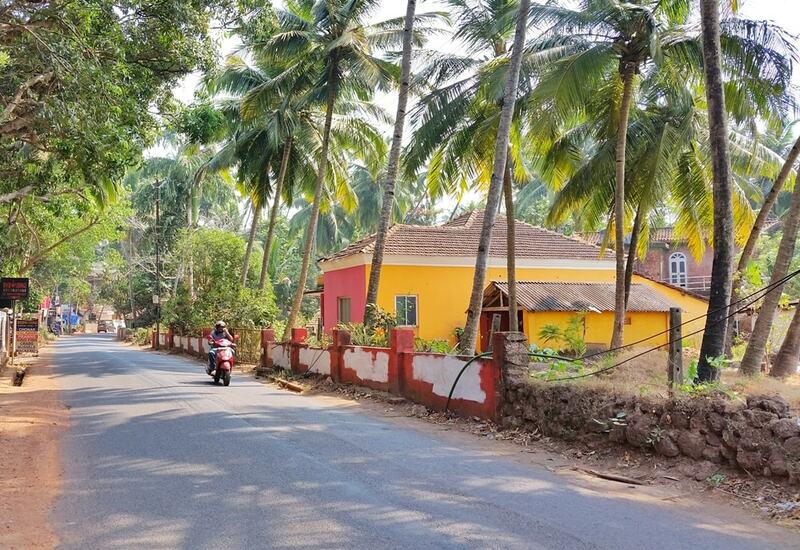 Depending on where in Goa you are, there could still be a decent amount of traffic, but it can still be better than taking the main roads! 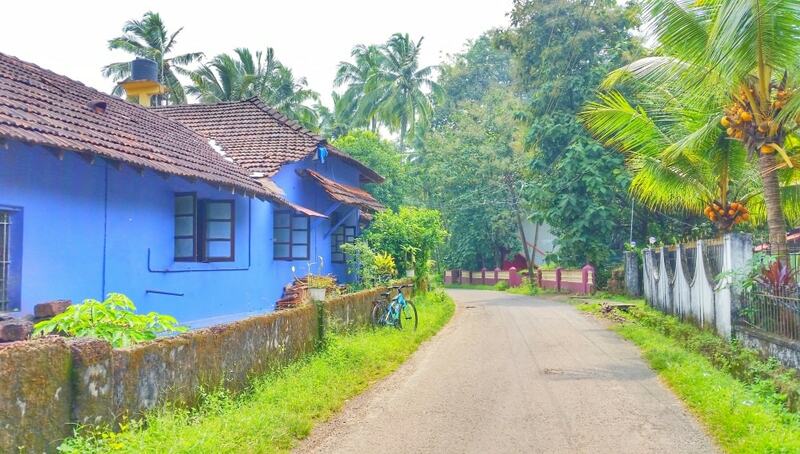 Some of these streets with the narrow white lines is how you can find the “backroads” of Goa too. 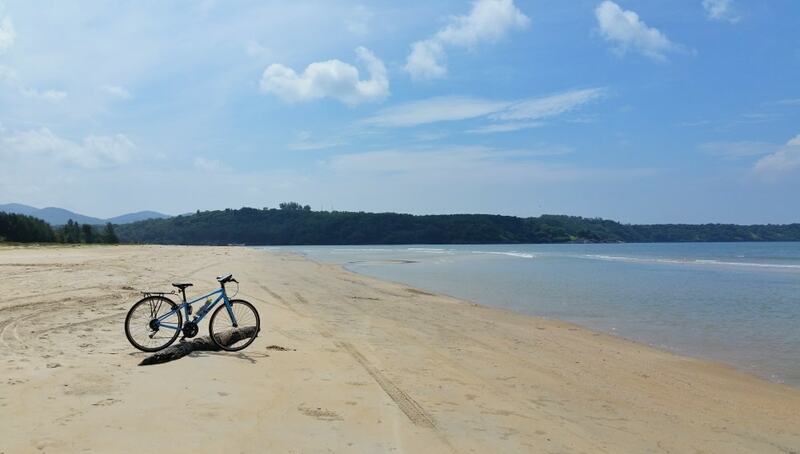 Where can you rent a bicycle in Goa?